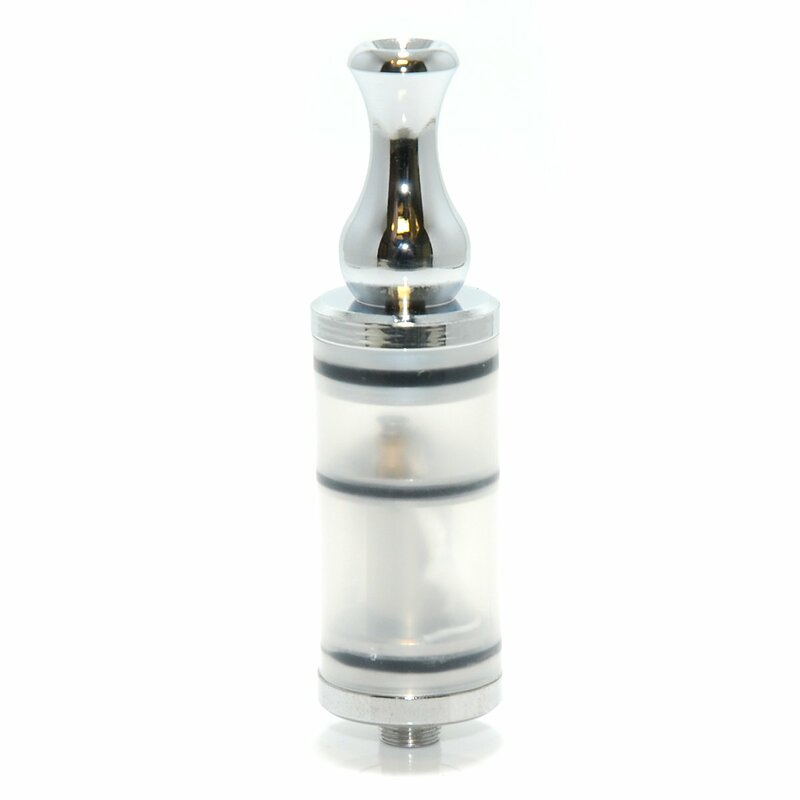 The Vivi rebuildable atomizer tank system from Smoktech is designed after the genesis style of rebuildable atomizers. The tank is made from polypropylene and holds approximately 3.5ml. It is threaded with a 510 connection for use on most eGo style batteries, and mods with the 510 connection. The end caps are all metal, and the mouthpiece is designed after the popular cherry style. It comes with wick, and a 2ohm coil already installed. You can replace the wick, and heating coil very easily on these using kanthal wire and wick. The coil is attached with two small phillips head screws, with the center post being positive. To fill the tank you must first remove the top cap, insert a needle bottle tip or syringe through one of the wick holes and slowly inject the e-liquid till the tank is about 90% full.